Any news on new breedable Dragons? While I still have 8 Dragons left to breed from the 33 Dragons update, I've been wondering if SP will be finishing the Primal Offspring collection soon. I really wanna finish those last 3 spots, whatever they are. I too would like them to be filled so that I can finish them as well, I am down to four collections that I need to complete. Nice. Got a lot of collections to complete, but aiming for Quest and Arena Dragons right now. I originally thought that the Lizard and Salamander Dragons would be the last two Dragons added to the Collection, then adding the Primal in to complete it. We still need a Primal/Terra and Primal/Flame. It's unlikely that they add in a permanently breedable Primal/Legend, so I think they're gonna add the Primal Dragon in as the last one. They need to hurry up and do that, as well as add the final ones to the Warrior'c Chest collection and add Commander to the Heroic collection. I know. Maybe make a Second Arena Collection and a Second VIP Collection as well. -New collections will be added. -Collections will have multiple tiers based off of Grades. If this is true, then getting Stars for weaker Dragons may be more necessary to theoretically get Stars for stronger Dragons, like maybe Origin or Hound. Yes, I bolded some text to show that these are rumors, not confirmed info. I hope this rumor is false, ML did the same thing over a year ago and I still have not completed any because it is IMPOSSIBLE without lots of money or gems. I like the idea of more collections but not if they are going to be in tiers based on the ratings. Though most likely this will be true and these changes could also affect the arena requirements, ML does something similar...they will have the requirements based on whether the monster is in a particular "book" or collection as it is in DC. Well, it looks to be confirmed. While this may look impossible, it may actually be just very, very difficult. While some collections may be impossible to do, others are pretty manageable. -The Dragons that can be bred can be upgraded to Grade 5 over time. -Same with Ancient Dragons & Sanctuary Dragons. 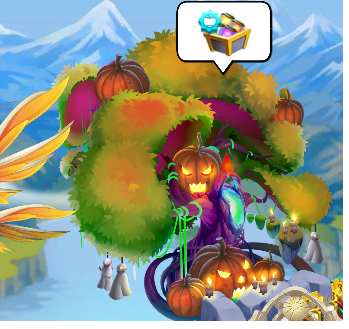 -I've been seeing Quest Dragons appear in the Orb Shop, so that's good there. -Alliance Chest & Arena Chest are good. Then again, that covers...about 200 Dragons all-together? Yeah, they really are making it more difficult to ignore repeated dragons for new dragons.